Before a real estate purchase is made, title searches are conducted. These inspections are carried out to validate a homeowner’s legal right to sell a property and discover possible title encumbrances. While these examinations are thorough, there’s no guarantee that any title defect won’t be overlooked. Hence, house buyers would do well to get title insurance for Annapolis, MD clients. Eastern Title is a title company that helps buyers navigate the home purchasing process, from completing purchase agreements to securing title insurance for Annapolis, MD clients. 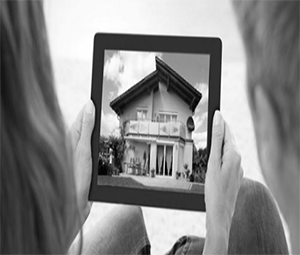 We understand that being well-informed is crucial to a successful real estate transaction. This is why we help our clients make better decisions by walking them through the pros and cons of their options. Whether you want us to help you purchase title insurance for Annapolis, MD clients or close on a realty deal, we guarantee you’ll have a hassle-free experience with our company. What Is Title Insurance for Annapolis, MD Clients? Lenders require borrowers to purchase lender’s title insurance for Annapolis, MD clients before taking out a loan. Title insurance for Annapolis, MD clients gives the former peace mind knowing they’re insured should title irregularities arise with the property they’re financing. Title problems include outstanding lawsuits or liens, undisclosed heirs, paperwork errors, and omissions. If any of these defects surface after the purchase of a home, lenders may suffer great financial loss. Fortunately, they can avoid this risk by having title insurance for Annapolis, MD clients. Lender’s title insurance for Annapolis, MD clients only protects the lender from damage or loss resulting from title or loan encumbrances. For the protection of the buyers themselves, owner’s title insurance for Annapolis, MD clients must be purchased. Owner’s title insurance for Annapolis, MD clients is an optional indemnity insurance in the home buying process. This title insurance for Annapolis, MD clients serves as financial protection of a buyer’s rights and legal claims to a property. Additionally, owner’s title insurance for Annapolis, MD clients lasts as long as you or your heirs own the home. By paying the one-time fee for owner’s title insurance for Annapolis, MD clients, you’d be protected against title irregularities for as long as you or your family is the owner. In the home buying process, you invest in a house that rests on soil, which is as old as the earth itself. This land has possibly had various owners before you, any of who could have failed to disclose pending claims against the property at the time they owned it. If this is the case, the property will carry outstanding liens, lawsuits, or other title irregularities, which will be inherited by the buyer. This may result in the buyer’s huge financial loss, which fortunately can be prevented by getting title insurance for Annapolis, MD clients. Title insurance for Annapolis, MD clients works differently. For instance, a car insurance policy provides an auto owner with financial compensation for future car accidents. Meanwhile, health insurance covers its holder’s medical or surgical expenses incurred in the future. Unlike traditional insurance that protects holders against future losses or damage, title insurance for Annapolis, MD clients insures the holder against claims for past occurrences. Purchasing a new home? Protect your investment from hidden title risks and hazards by buying title insurance for Annapolis, MD clients. Eastern Title has you covered, from the examination of a title to the issuance of title insurance for Annapolis, MD clients. For more information about title insurance for Annapolis, MD clients, visit our website.